Get free page/hit counters at pngwise.com. Signing up for an account is quick and easy. You can create simple PNG images (1x1 transparent) and load them on any page you want to track hits and visits on. Pngwise image/pixel tracking doesn't display the counts on the page you're tracking. Instead, that data is hidden from the public and accessible at your pngwise.com account. Pngwise tracks hits, visits, the countries your visits come from, and when the visits occurred. 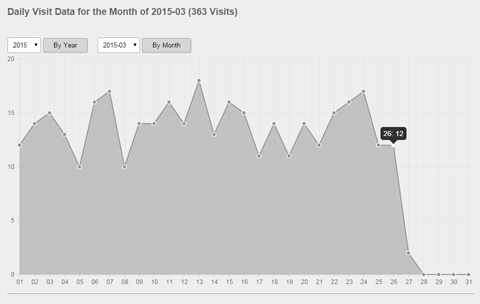 You can view visit charts by year (showing monthly data) or by month (showing daily data).